Tavua College Year 13 national topper Divneeta Divya Devi. 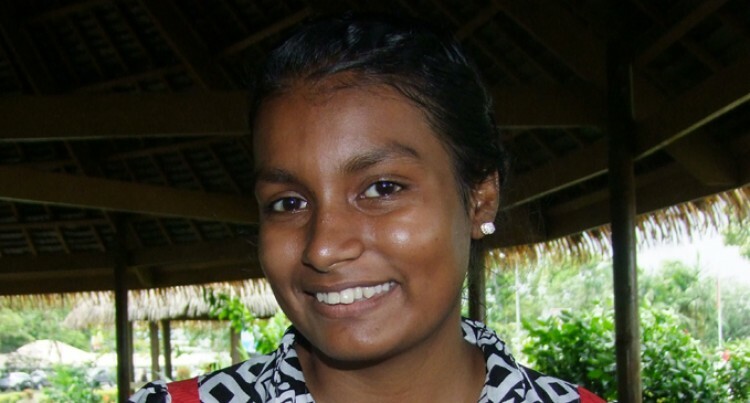 Divneeta Divya Devi from Tavua College says it was her dream to become national topper in the Year 13 external exams for 2015. This was after Divneeta scored a total of 387 out of 400 has been confirmed by the Ministry of Education which sent a listing of national toppers in all the 2015 external exams. “It was my dream to be a national topper as I was the western topper for Year 12 exams,” she said. “For Year 13, my goal was to achieve something higher than that,” she said. Divneeta comes from a family where both parents are school heads. Her mother, Vineeta Prasad is the head teacher of Vashist Muni Primary School and her father, Dinesh, at Balata Primary School. Her parents have encouraged Devi and her four siblings to study hard and have always kept that as a priority. “Academically my parents are very strict,” she said. Finishing all their syllables in just two terms was one of the most challenging things for her as she had to get extra tuitions. She thanked her parents and teachers and tutors, especially her English teacher Roshni Kumar, to whom she attributed her good marks to. The second highest scorer was Branesh Prakash of Mahatma Ghandi Memorial High School in Suva. He scored 382 out of 400.